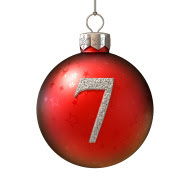 Behind door number 7 is our largest ensemble to date, a full jazz orchestra no less. Drummer, band leader and arranger Ronnie Bottomley is a Northern jazz institution and a Northern Jazz advent calendar wouldn't be complete without a nod to his work. Recipient of the Jazz Yorkshire Lifetime Achievement Award, Ronnie Bottomley has a glittering career that spans decades. Now in his 80s, he remains active on the scene by leading his jazz orchestra and the James Robinson Quintet pays homage to his small ensemble arrangements at gigs in Leeds and surrounding areas. For 33 years, Ronnie held a teaching position at Leeds College of Music - teaching drums, leading a nonet and running a penmanship class. Many of the leading alumni at the college credit Ronnie as being a supportive and valuable force in their jazz education. The Ronnie Bottomley Jazz Orchestra has been running for a number of years and features some of the finest jazz musicians in the North. People travel from Leeds, Doncaster, Sheffield and beyond to play Ronnie's arrangements which always have a strong focus on soloists. The Ronnie Bottomley Jazz Orchestra has a special christmas gig (an annual affair that has become tradition) at Seven Arts on Sunday December 11th. For more information, check out this interview from Jazz Goes To Leeds.